Education Game News. Rousse Quest. P42 Release date 05.03.2014 year. On focus the first Planeta 42 game in history category - Rousse Quest. 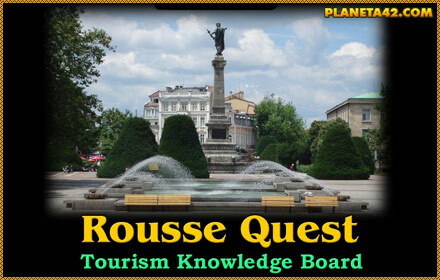 It is a small flash game, where some tourist attractions in Ruse must be visited and some monuments obtained. Then the monuments are placed in the missing places. Developed to fame the Ruse town.